Close up magician available for weddings, parties and events in Hereford, Ross on Wye, Leominster, Ledbury and the rest of Herefordshire. Easy to book and hire vivacious wedding entertainment! Sparkling sleight of hand magic for weddings, birthday parties and corporate evenings! Professional and cost effective entertainment solutions for events. Magic performed with passion and synergy. A beautiful lull filler for Balls, Charity Events, Dinner Parties and Anniversaries. Close up magic with money. Hereford magician Andy’s piece de resistance! 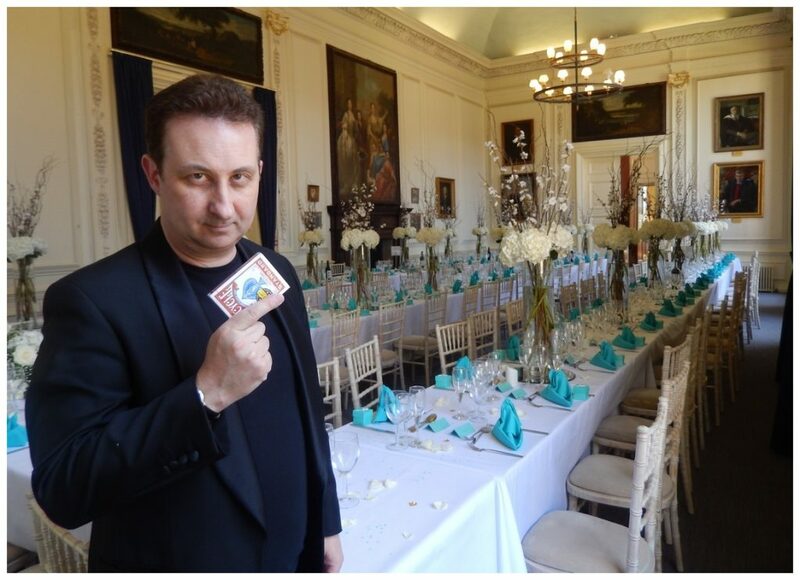 Herefordshire wedding entertainer Andy Field propels a signed playing card into a solid bottle. Powerful sleight of hand!  Hire Hereford Bride and Groom wedding magician Andy Field. A respected wedding entertainer who can deliver the most reliable and outstanding sleight of hand magical illusions. Have your Hereford wedding or birthday party celebrations complimented and personalised with powerful sleight of hand. Wedding entertainment to engage and unite your family or friends! His entertainment and hosting skills are second to none. His goal is to make your wedding or birthday party significant and nostalgic for your guest ensuring they talk of your event for a very long time! 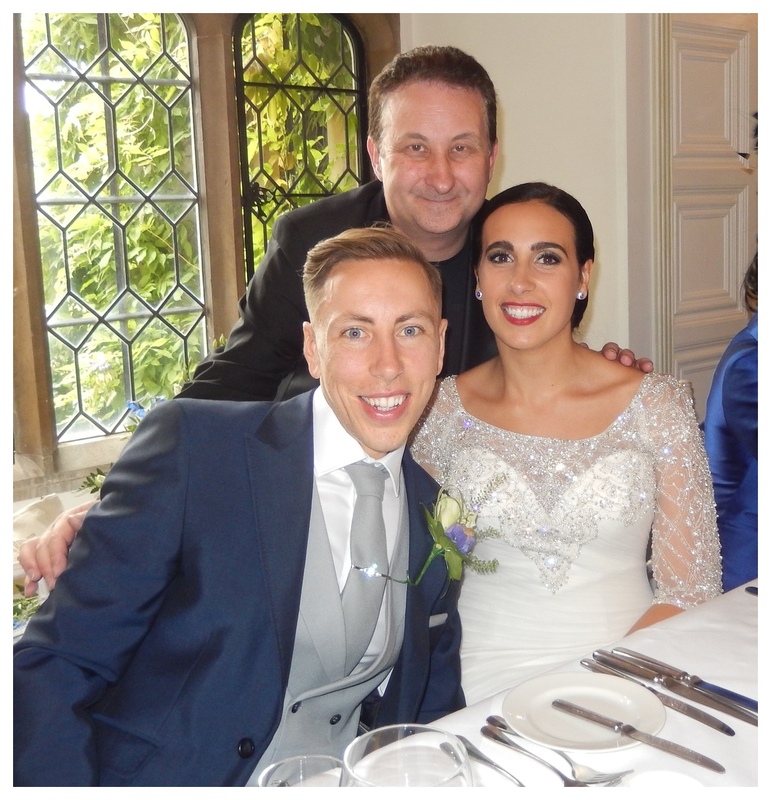 Andy’s magic at weddings will create excitement during the photo shoot or wedding breakfast. 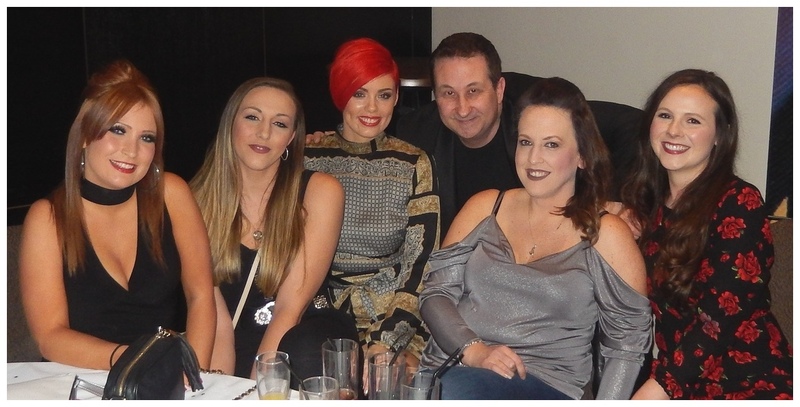 Other leading times to have Andy conjure with walk around magic include the evening reception and room resets. Beautiful birthday party entertainment for the mind, body and soul! Magician Andy is a professional full time party entertainer. He has years of experience. Some of it as a sleight of hand magician and trickster! He is very proficient at socialising and interacting with people. This is important because he will be a representation of you in front of your Herefordshire family and friends. 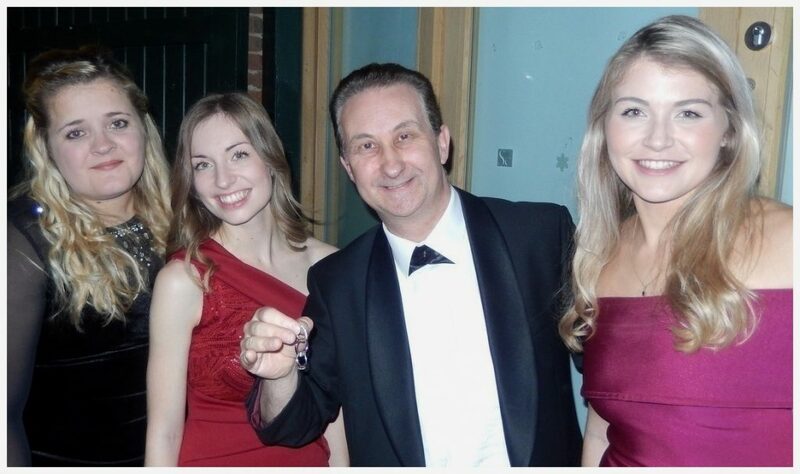 Over the years as a full time magician in Hereford he has entertained at hundreds of parties. His presentation skills as he performs are very engaging and witty. He has a natural charm and connects well which helps to sell and propel his magic. Andy feels very privileged to attend every wedding or birthday party. He is very passionate about his walk around magic. 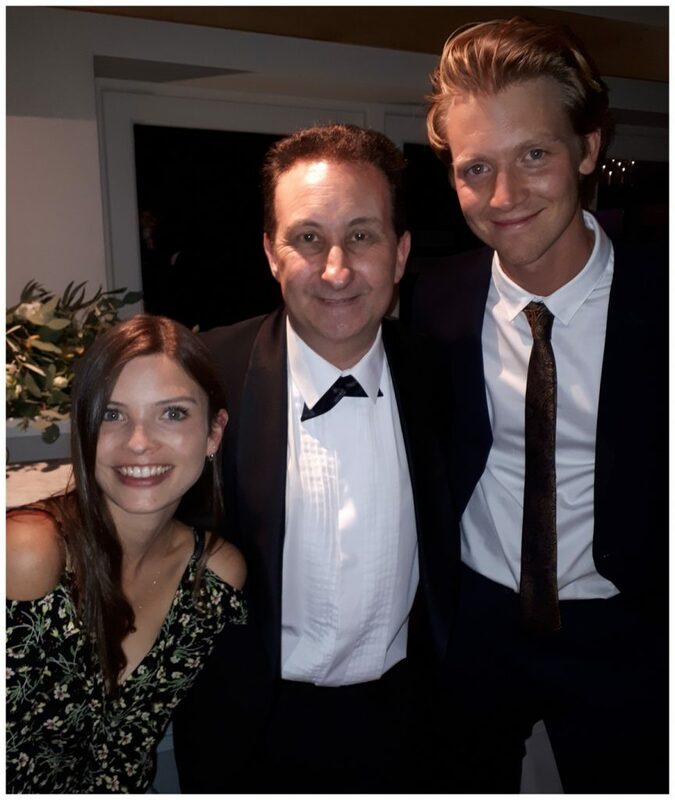 Andy will also work very hard to ensure his performance helps contribute to the success of your event. Andy has different deals for weddings and parties. Depending on the requirements for your wedding or event Andy will use his experience to suggest a competitively priced package to suit your wishes. Simply get in touch by filling out the enquiry form. Andy will present you with a swift and no obligation quote. If you wish to proceed with your booking then he will take a deposit to secure your event. Andy’s close up and walk around magic has been highly spoken of online by many of his clients and customers. People who have booked him for their weddings and parties have reviewed his services online as professional, reliable and profoundly recommend his magic without hesitation. They describe his close up magic as stunning, inconceivable and out of this world! He has some of the most Facebook reviews for a close up wedding magician in the UK. What a lovely chap! Andy will supply personal table top magic at your Herefordshire wedding or birthday party event! Andy based in Gloucestershire and has performed in Hereford at many wedding venues. He also performs around Ross-On-Wye, Leominster and Ledbury. His close up magic is also significantly known and enjoyed on YouTube where his videos have accumulated a total of nearly six million views and counting! Some of his magic performance videos can be viewed here. Some of Andy’s Hereford and Ross on Wye reviews describe him as personable and friendly. His performing character is a natural extension of this. According to his reviews he comes across as playful, charming and engaging. Your wedding or party will be in reliable and safe magical hands. This will leave you with peace of mind to focus on other cares and concerns for your event. 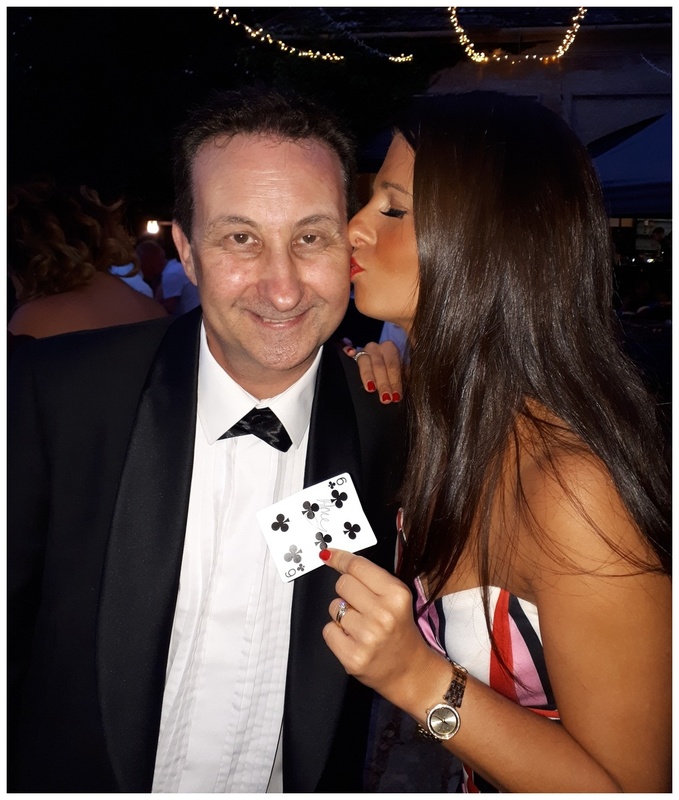 The main benefit of course will be the tremendous atmosphere his close up magic and personality will generate for your guests for your wedding or birthday party event. However, the spin off advantages will also include having an experienced host to meet and greet your guest. To welcome them and make them feel relaxed. Magician Andy will also act as an “ice-breaker” on behalf of your family and friends. Plus, he will be able to cover any of the quieter moments of your event and keep the atmosphere from declining. By and large Andy’s act is also very pliant and versatile making him virtually self-sufficient. Weddings are one of the most important days of your life so they say. For this reason you should always hire the best. Make sure you a hiring a full time professional who is insured and has PLI. Get genuine testimonials and reviews from trusted sources. Check out their promotional videos. A true professional will have many to display and show off their skills to potential clients. Look for lots of media performance pictures on their Facebook page. In fact ask to meet them in person if possible. A cool surprise for a loved one maybe? For instance how about hiring magician Andy as a surprise gift for a loved one? Overall Andy has been asked to do this on many occasions. Just make sure the recipient is a lover of magic! Overall Herefordshire magician Andy best-loved magic trick is generally his latest creation. This year he has developed and enhanced a famous trick known in card magic known as The Haunted Deck. Andy first started to perform this effect for Halloween parties. 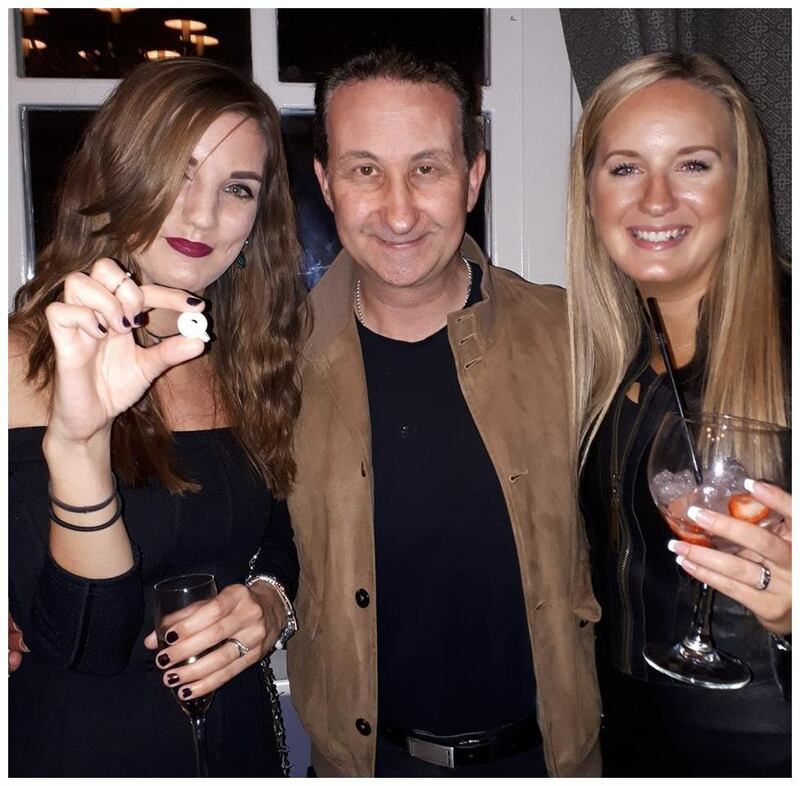 However this card trick proved to be such a huge hit it is now one of his main stream effects for Herefordshire weddings and birthday party performances. To begin with a person is asked to merely think of any playing card in their mind. The pack of cards is placed on the floor right next to the spectators. Andy then tells the spectator to think of their card and watch the deck. The pack then eerily cuts itself to their thought of card! – Strong and powerful magic for every wedding and party. The customer is king!